Reproducibility and R – Better results, better code, better science. I made a short presentation for our most recent weekly lab meeting about best practices for reproducible research. There are a few key points, the first is that the benefits of reproducible research are not just for the community. Producing reproducible code helps you, both after publication (higher citation rates: Piwowar and Vision, 2013) but in the long run in terms of your ability to tackle bigger projects. Version control helps you make incremental changes to your code, to comment the changes clearly, and helps you fix mistakes if you break something. It also helps you learn from your old mistakes, you can go back through your commit history and see how you fixed problems in the past. Embedded code helps you produce clean and concise code with a specific purpose, and it help you in the long run by reducing the need to “find and replace” values throughout your manuscript. It helps reviewers as well. Your results are simply a summary of the analysis you perform, the code is the analysis. If you can point readers and reviewers to the code you save everyone time. So, take a look at the presentation, let me know what you think. And, if you are an early-career researcher, make now the time to start good coding practice. Posted on 19/11/2013 19/11/2013 Categories Data sharing, R Code, Research & TeachingTags cran, git, github, IDE, presentations, R, reproducible researchLeave a comment on Reproducibility and R – Better results, better code, better science. Yi-Fu Tuan Lecture, February 15th. UPDATE: I have uploaded the slides of my Yi-Fu seminar to figshare, DOI: 10.6084/m9.figshare.157094. If you have questions or comments about the presentation, please feel free to ask in the comments here or on figshare. I’d be happy to discuss my work. Once the presentation is done I’ll upload the slides here and to figshare so that people who aren’t able to attend can see the talk. The talk will be at 3:30pm in Room 180 of Science Hall at the University of Wisconsin (550 N Park St). This talk is part of the Yi-Fu Tuan (personal page here) lecture series. Figure 1. The shaded parts of Minnesota, Wisconsin and Michigan are my study region. They will be the focus of my talk. Predicting the response of organisms to changing climates in the 21st century is a major conservation challenge. Standard practice uses the relationship between modern species ranges and climate to predict future distributions under various future climate scenarios. 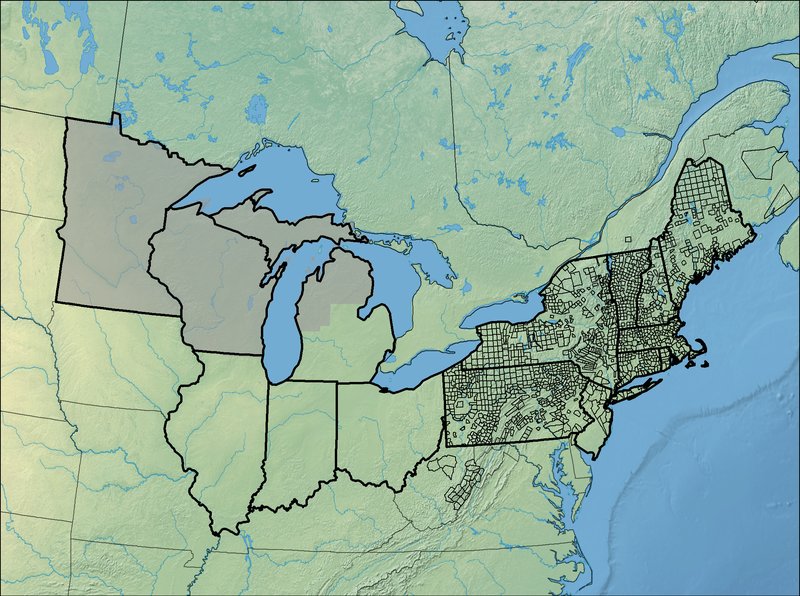 The widespread and significant land use conversion in North America, particularly in the upper Midwest, challenges the basic assumptions of this model. 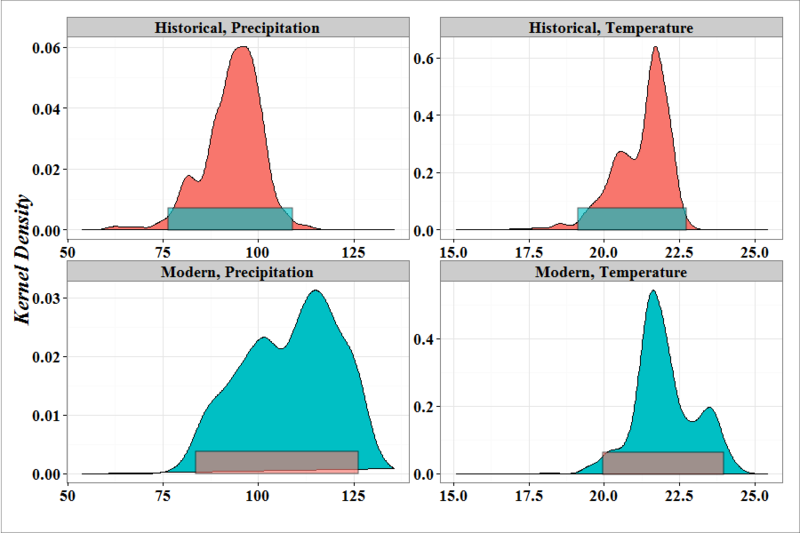 I use historical records of vegetation and climate to build a better understanding of the state of forests in the upper Midwest prior to European settlement. Pre-settlement forests show significantly different structure and composition than modern forests, and our interpretations of the kinds of climates that tree species can occupy is likely to be affected by the broad-scale changes brought about by agricultural conversion. This analysis forms part of the broader PalEON project, and I will highlight how the information we gain from historical data can inform and improve our estimates of future climate change, species distributions and, ultimately help inform conservation planning in the 21st century. Posted on 30/01/2013 21/02/2013 Categories UncategorizedTags abstract, presentations, yi fu tuan3 Comments on Yi-Fu Tuan Lecture, February 15th. EDIT: If you have any comments or questions about the presentation, I`d be happy to answer them in the comments below. EDIT #2: Following the recommendations of several people on twitter I’ve also decided to upload my talk to Figshare, where it was assigned the DOI 10.6084/m9.figshare.106654 since uploading it yesterday it has had 218 views. That’s more than the number of people who have viewed it on this blog, and far more than the number of people who saw it at IBS. I’m a big fan of Figshare! Figure 1. The kernel density of walnut species in the Upper Midwest shows clear shifts in July precipitation and temperature since settlement. These result from both land us change and shifts in the climate normals. The 95% CI are indicated by rectangles at the bottom of each plot.